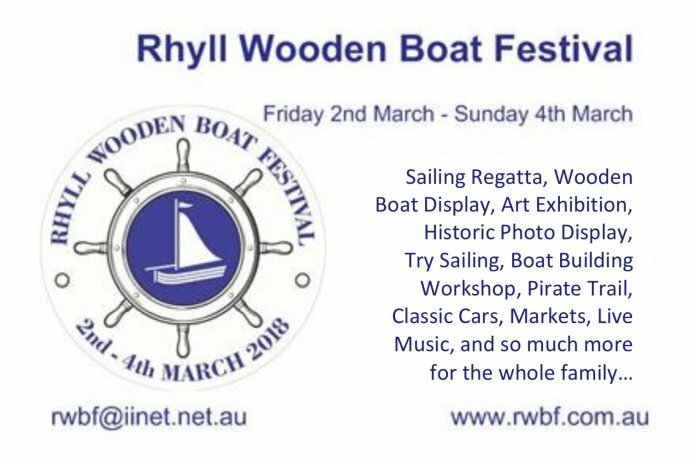 A free Community Event celebrating 150 years of settlement on Phillip Island, featuring: a fabulous display of wooden boats both on land and in water, yacht racing, maritime history multimedia display and knot tying, art exhibition, street market, model boats, classic cars and vintage caravans, youth boat-building workshop, classic ferries, live music, pirate trail, and street performers. Fun for ALL the family. Located on the foreshore of the quaint little Fishing Village of Rhyll, on Phillip Island, Victoria, Australia.